THE MERCEDES OF FILM REELS AND STORAGE.......GEPE reels are manufactured in Sweden to precision standards and have features like no other reel. 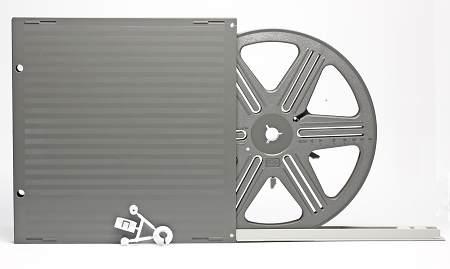 Each reel comes in a snap tight 100% UV protectant Archival rated storage chest. The Chest measures 8-3/4 in. 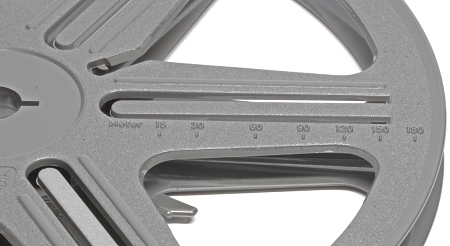 x 8-5/8 in. x 7/8 in. and the reel measures 8-1/8 in. diameter. 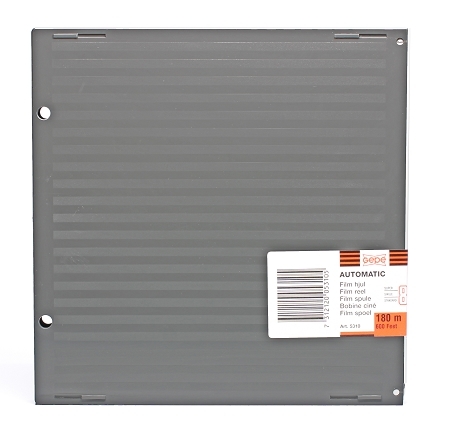 Reels are auto load with film length graduations. 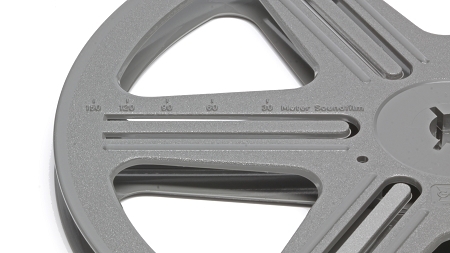 Included with each reel is an adapter which allows the reel to be used as a Super 8 or Reg 8mm reel, a film clip to hold the film securely in place without damage and other adapters. These reels and storage chests are the finest available. Both reel and case are plastic so they never rust.....don't scrimp when it comes to your family treasures....preserve them on the BEST! !